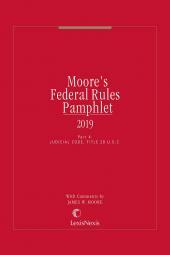 Moore's Federal Rules Pamphlets offers federal practitioners the full text of the federal rules, plus a mini-treatise with analysis and case annotations. 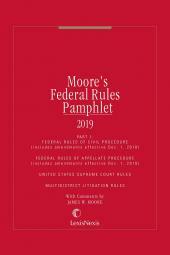 The rules and analysis appear in four portable pamphlets, sold separately or as a set, so attorneys can keep the relevant pamphlet in their briefcase or have it handy on their desktop. The pamphlets, available each December, only a couple of weeks after the effective date of the federal rule amendments, are timely and accurate. The four softbound volumes are sold separately or as a set, and are replaced annually. 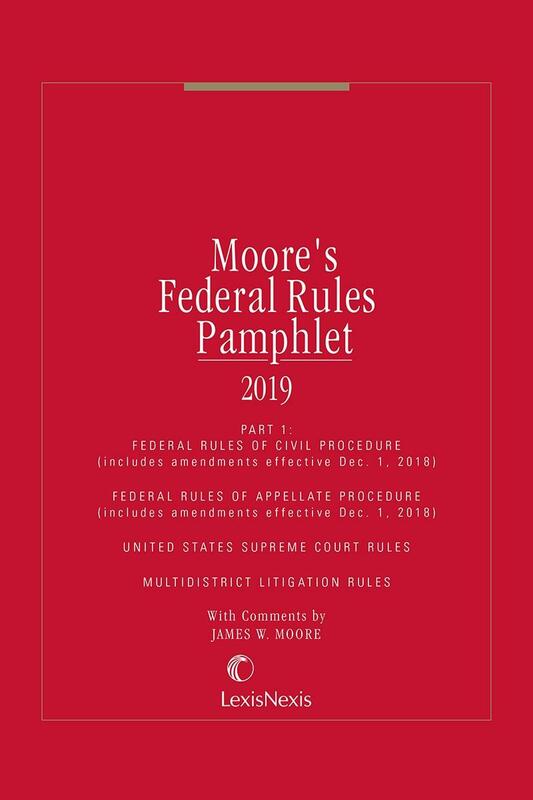 Features detailed coverage of the Federal Rules of Civil Procedure (over 1000 pages in Volume 1), Federal Rules of Evidence (over 1100 pages in Volume 2), Federal Rules of Criminal Procedure (over 1000 pages in Volume 3), and Title 28 Judicial Code (over 1200 pages in Volume 4).